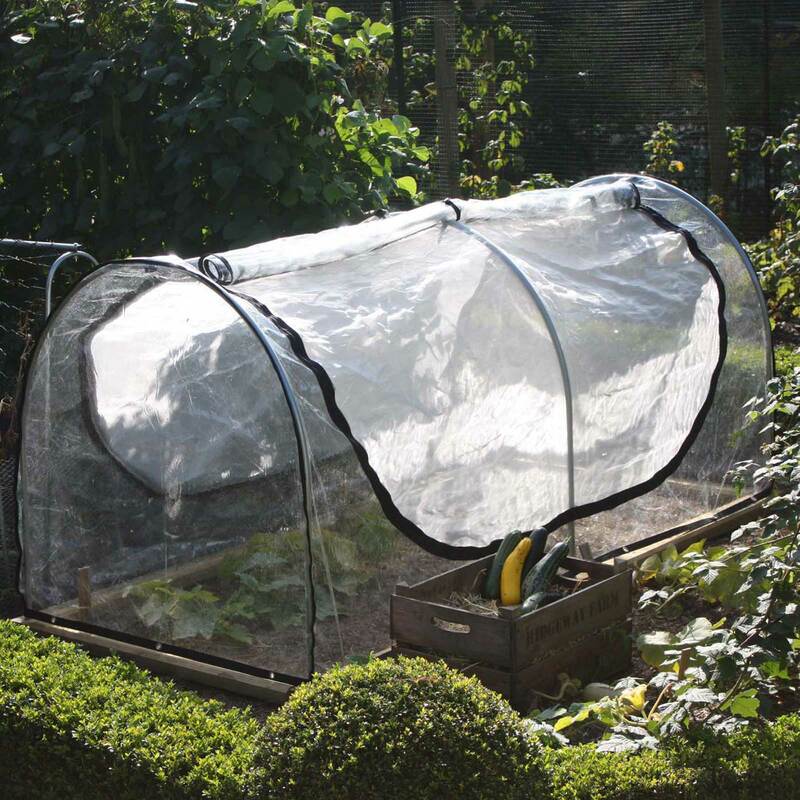 Our Freestanding Hoop and Fitted Cover Kits sound to good to be true - not only do they provide valuable fruit and vegetable crops with almost 3m² of growing space, offer winter protection from the weather and form a summer barrier to butterflies and other pest-munching insects but they are fully portable too; it doesn't get much better than that in the vegetable garden! 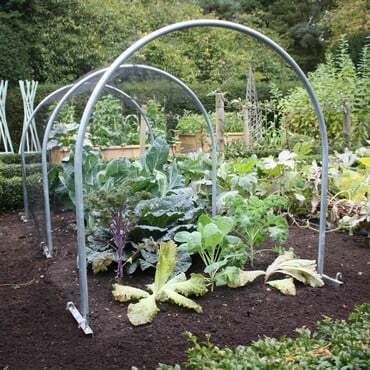 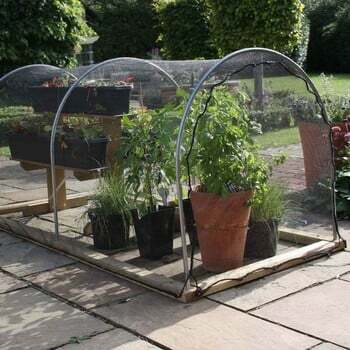 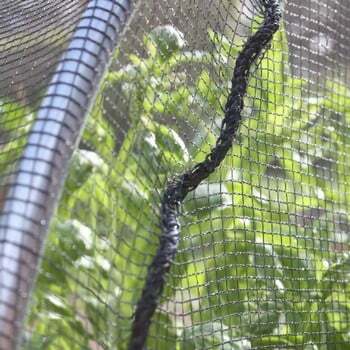 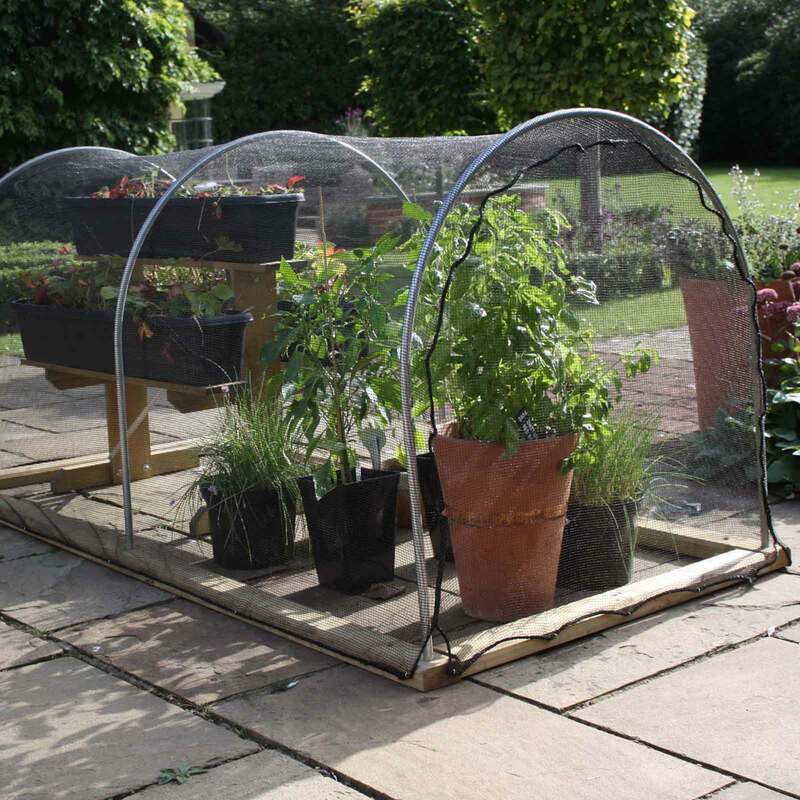 The extra thick, UV stabilised mesh vented PVC cover takes care of early and late season weather conditions and the fine insect mesh inner screens provide ventilation so plants stay cool and pest free throughout the summer. Fruiting crops and brassicas benefit from the butterfly/caterpillar-free environment afforded by the butterfly net cover - both covers are fitted and slip over the hoop framework like a glove! I looked for ages for a cloche like this. 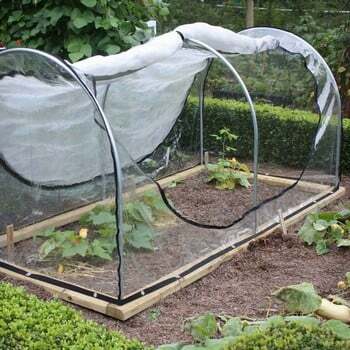 Very well thought out, good quality materials and eventually I was very pleased. But. I found this very tricky to fit together and it took me the best part of the day to enlarge the holes in the wood so that the metal hoops would fit. Seems to be just me who has had this problem but I would consider myself more than average DIY skills so feel this should be easier to put together given the price. 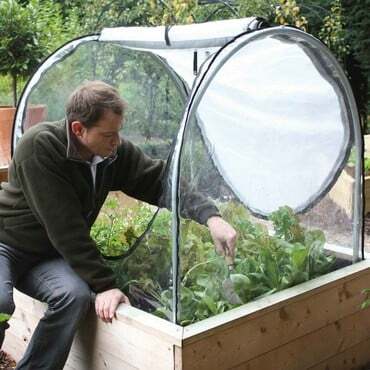 Great to hear that the cover is working well for you. 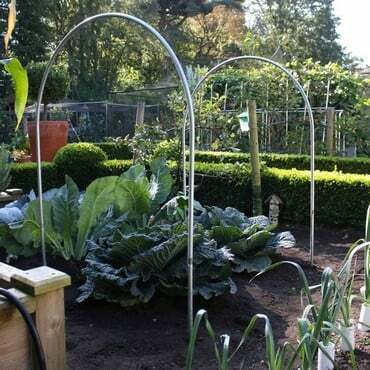 The measurements have been made clearer on the website, apologies if this caused confusion.